Atmoslab Amaretto gives a characteristic aroma of the famous Amaretto drink. Authentic almond flavour, especially for the lovers of this drink. A superb flavour which makes you love it. 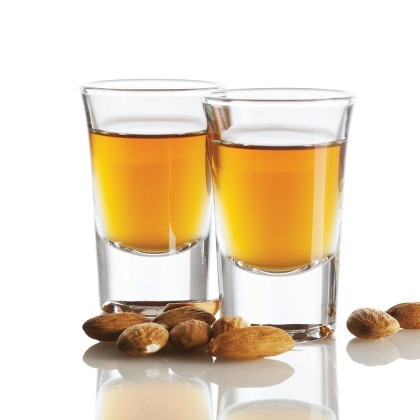 The Amaretto flavour is available in 10ml pharmaceutical glass bottle having inner dropper and tamper-evident cap. Ingredients: Concentrated mixture of flavours, dissolved in benzyl alcohol (FEMA 2137) and triacetin (FEMA 2007). It does not contain sugar, gluten, GMOs, diacetyl. It is both sugar free and gluten free. Warning. Harmful if swallowed. May cause an allergic skin reaction. Harmful if inhaled. May cause respiratory irritation. Keep out of reach of children. Wash your hands thoroughly after handling. Wear protective gloves/protective clothing/eye protection/face protection. IF IN EYES: Rinse cautiously with water for several minutes. Remove contact lenses, if present and easy to do. Continue rinsing.